After a successful Beauty Bus last May and a Santa’s Grotto Bus in December, our retail division Big Footfall® were tasked with creating a further Valentine’s ‘Love Bus’ themed installation for a retail centre in Oxford. PDG mission was to turn a Stagecoach bus into a fantastic wonderland of feel good vibes! 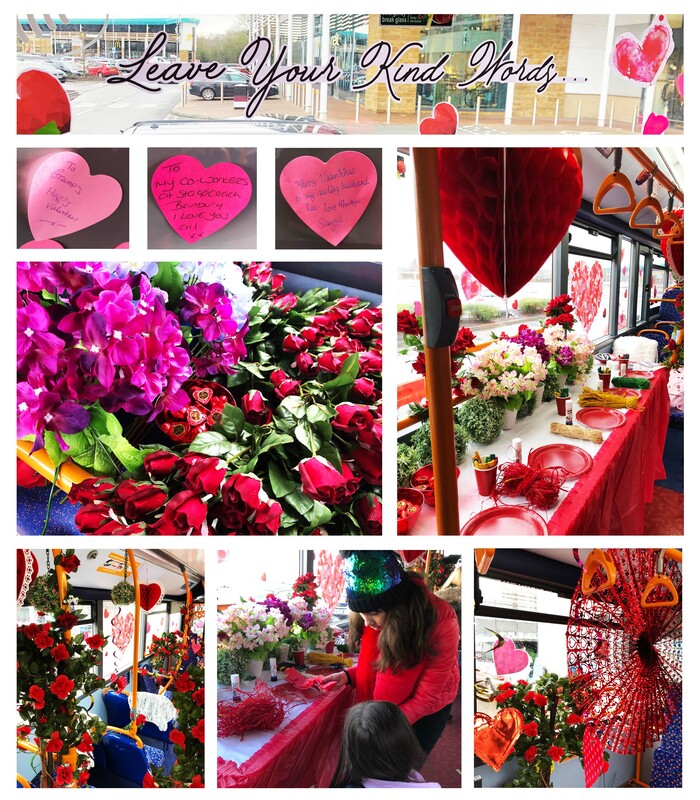 Large heart and rose vinyls covered the bus along with floral displays and hanging props. Shoppers were invited to leave ‘kind words’ for others on a giant message wall, take photos with family and friends. Not forgetting families and children, youngsters could take part in arts and crafts activities to sculpt and mould paper roses. To top it all off, shoppers received a free Valentine’s rose and a chocolate to take home.